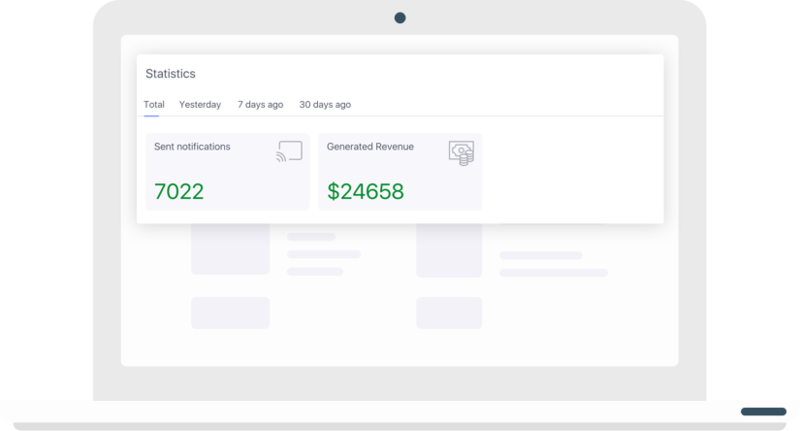 Automatically convert lost sales into revenue. Higher engagement rates. 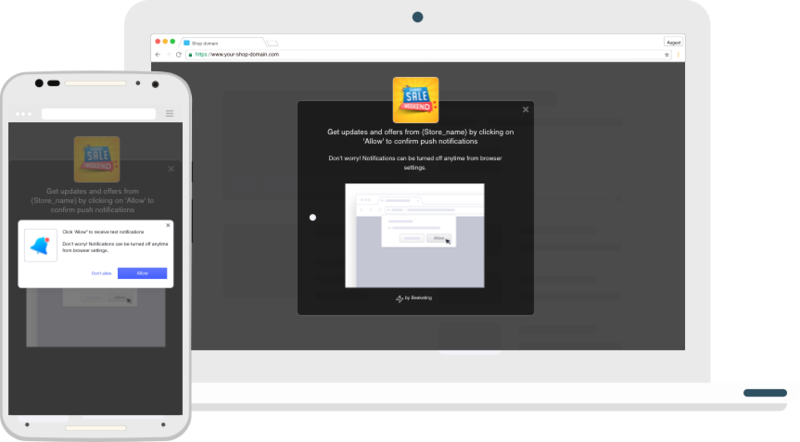 Recover Cart Pusher helps to send personalized push notifications to customers who have abandoned a cart right on their desktop and mobile. The app brings you the most powerful channel to re-engage your visitors and win back cart abandonment. 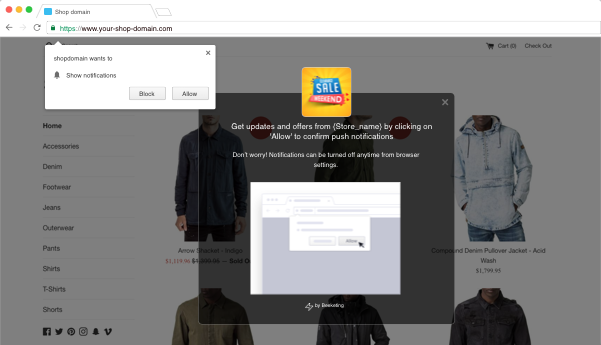 Web push notifications do not require your customers to submit their private information. Just one click away to subscribe and your customers will receive reminders from you whenever they have items left in their cart. This would bring back higher opt-in rates. 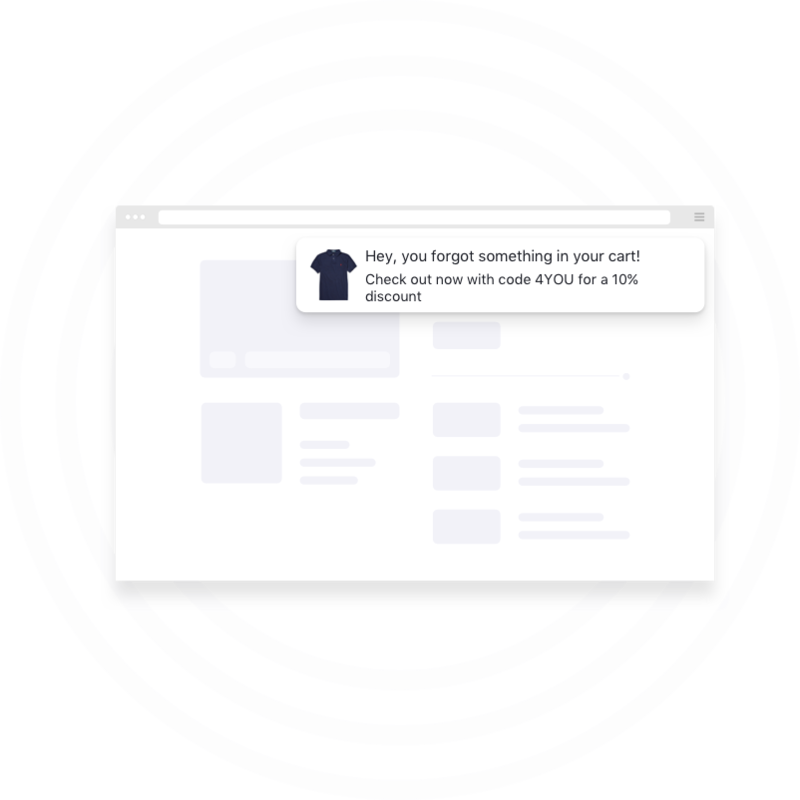 Clickable notifications with an enticing two-line message will send your customers directly to their abandoned cart so they can review their items and complete the order immediately. 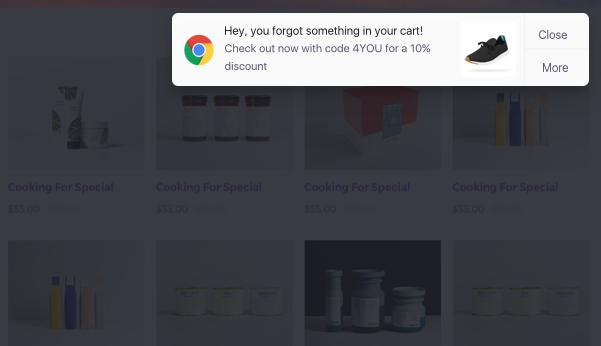 Turn your abandoned carts into sales with web push notifications. 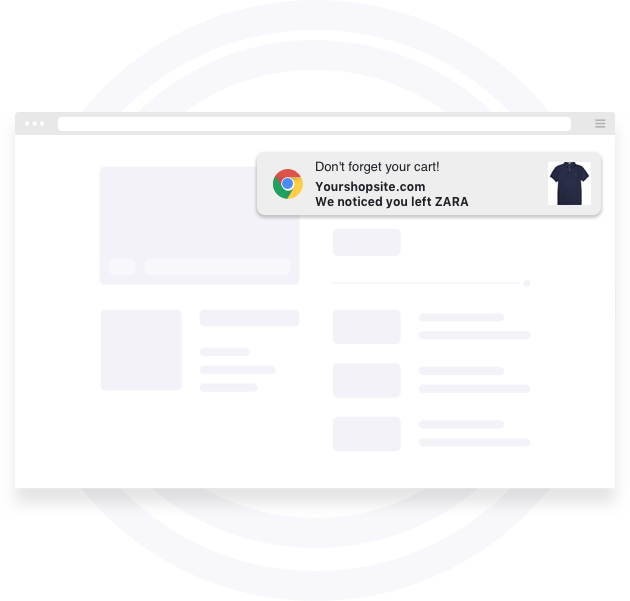 Recover Cart Pusher helps you send personalized push notifications to customers who have abandoned a cart right on their desktop. The app brings you an amazingly powerful channel to re-engage your visitors even when you don't have their contact details! Empower the most effective channel for you to communicate with customers in real time and bring them back to your store to complete their purchases. Requiring no coding skills, Recover Cart Pusher saves your time with 1-click integration and simple setup that takes less than 2 minutes. We've optimized UI/UX on both front-end and back-end of the app to make Recover Cart Pusher the most hassle-free app for you.